Once nestled into every imaginable nook and cranny of the space in and around our airplane seats, the Karagöz puppet troupe breathed a sigh of relief at making it through the security lines unscathed and relatively un-bothered, all things considered.Karagöz puppets, you see, have their own version of scanners, in which their bring-to-life dowels must be removed before boarding the metal giants known as airplanes.Karagöz himself had settled in to the top of the seat in front of me – needling the young boy in front of me so much that he began kicking the back of his chair frantically, nearly giving me a bruise as big as a hydroponic grape leaf as I tried to right my lanky self from stowing my bag under the seat.Annoyed at Karagöz as well as the boy, but determined to support the already mortified young parents in front of me, I let it out inside my mind. “Really, a sigh of relief? You think you have it bad?” I snapped at them as I adjusted my long legs into the small space, “you are a puppet figment of my imagination, don’t you realize that I just made up an EASY passage through security for puppets? Didn’t you see what we had to go through?” The little chorus of dancing ladies saw my hot-and-bothered-ness and in the absence of a tea cooking implement, just began to jump up and down on my shoulders in a chain-reaction unison in order to massage the grump out of me.And it was into this moment, that M. leaned his head on my shoulder, told me he loved me, and explained that he would like to know what to expect in the weeks to come with my Father in hospice.”What,” he said carefully and respectfully, “exactly is hospice? And what do I need to do? And what should I expect? And…what happens after the end?”Pleased at his questions, and surprised by an uncharacteristically gentle approach to posing what can be interpreted as difficult or challenging statements, I kissed him and began to explain a bit about what I know about death in America, the hospice care movement, religious services in the Unitarian Universalist tradition and the tradition of cremating vs. embalming a body. Holding my hand carefully as he listened to me, M. was calm and thoughtful as he took it in. The puppets, however, were looking on in increasing horror as I got to the cremation part of the explanation – and nearly fell out of their cornice-like squirrel spots when I got to the firy end. 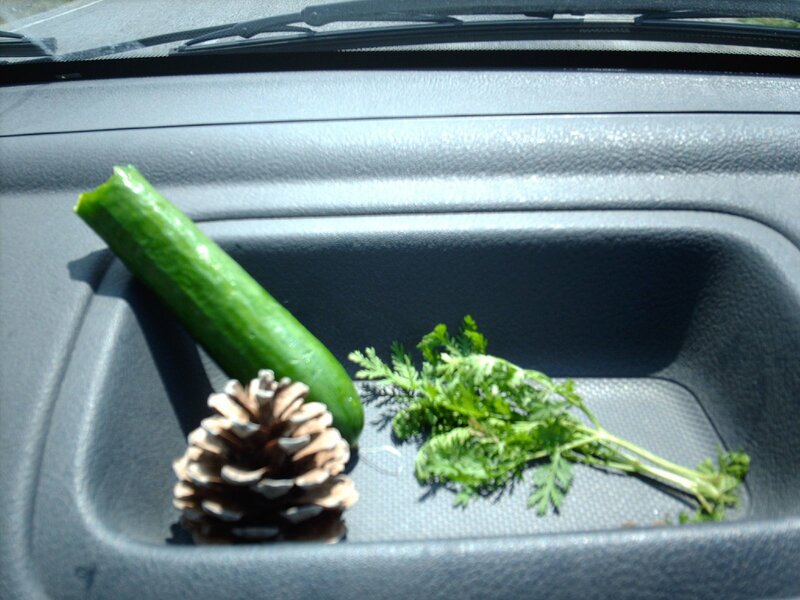 Stuck on my memory of that odd interaction – and how I considered the herb afterwards on our dashboard all afternoon (it was placed next to the cucumber the man also gave us, and a large pine cone I picked up for my mother’s collection) – my brow was furrowed. 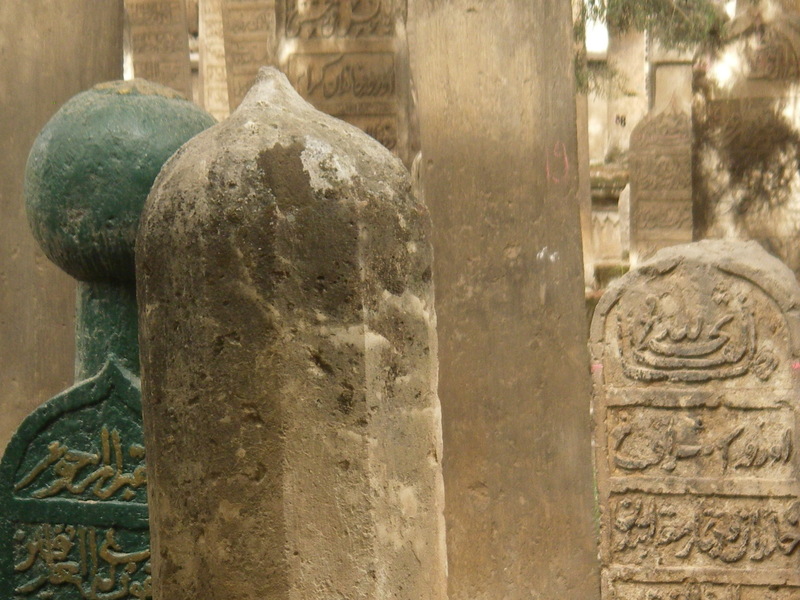 I was particularly interested in the mandated end-of-life Mecca direction positioning and wondered what happened to the religious minorities in Turkey upon death. Instead of asking, I listened on. Reaching a crossroads in our conversation, M. stopped, perhaps pondering his words a bit, or clearing his mind. “You know, he said firmly, “I do not want this. I want to be cremated and spread in the ocean…so let’s hope I don’t die in Turkiye!” With this we had a good laugh as the puppets giggled out of some nervous attempt to engage in respectful behavior, even Karagöz. I think, however, that Karagöz was just pretty excited to hear M. utter this utterly oppositional request! This entry was posted in Cross-cultural learning moments, Family Challenges, Gendered moments, Visits from the Karagöz puppets and tagged Bodrum, Cremation, Hospice, Mecca, Puppetry, Turkey, United States, yavash yavash. Bookmark the permalink. I hope all goes well as it can for you and your family during this time. I just spent the last few months in the US due to my father’s terminal illness, and understand some of the challenges. Thanks very much, Jules. Alas, this is time lapse blogging. All in all, it went as well as it could go! I hope you are doing ok in your grieving process! Indeed! I picture the old man willow – Okcular version. A lovely image indeed. Looking for my tree to fertilize as well! So glad as went as well as could go. We are slogging through grief, like mud it dries up eventually. I find your metaphor SO perfect for grief. Thanks for that!